This week’s PRACTICAL DREAM ANALYSIS report is about a lady who received a very special gift from God. Remember the analysis reports are part of our “Dreams and Visions Interpretation Course” program. 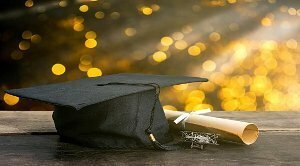 These reports will be of tremendous value as it will slowly but surely train you and prepare you to master the gift of the “interpretation of dreams and visions”. You will eventually interpret dreams and visions correctly and according to Biblical principles. Of course it will get easier and quicker as you get more familiar with the different principles that govern dream and vision interpretation. Although it is a gift, it does take time and practice. 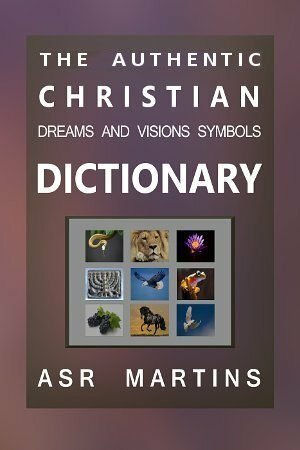 Apart from getting more and more familiar with all the different symbols, the principles and the different fundamental principles that govern dream analysis, it also cultivates a closer and more intimate relationship with Christ our Lord. I was walking up a steep driveway into a beautiful old white Victorian mansion with stained glass windows. I walked into the parlor room and immediately saw Brian Agnew there. Brian Agnew is a very well known and respected dog trainer who worked closely with Cesar Milan. There were maybe three other people nearby and others gathered in a reception area past the parlor room. Brian handed me a gift, a wooden box the size of a card file box. Upon giving it to me he said “I just adore you, and I’m so fond of you, you are so talented so I want to give you this gift.” This was NOT at all a romantic exchange. The other two people in the room were women, one of which was a celebrity on a show on HGTV (Home & Garden Television). The show was about completely renovating dilapidated houses. These two women witnessed Brian giving me the gift, and expressed how nice it was. I expressed my thanks to Brian, and then went into a near by utility room adjacent to the parlor room. Brian had told me to open the box privately. Inside the box were a bunch of beautiful but blank hand crafted cards, like recycled card stock index cards but with nothing written on them. They were very unique and interesting. In looking through each of them I noticed there was one smaller card and it had writing on it but it was addressed to someone else, not me, expressing Brian’s gratitude. I was confused, and somewhat bothered that a note to someone else was in my gift box. Brian then walked into the utility room with the two other women who stated how sweet and nice the gift was. Brian then said he wanted to take a picture and post it on social media because giving me the gift was very sincere and special and he had put a lot of thought into it. In the next scene of the same dream, we then all walked into an adjacent reception room where there was a lot of people standing around eating hours devouring food and drinking wine along a long bar. They all seemed to be there in my honor but no one spoke to me. They were high class people. I walked out of the room thinking the whole thing was strange as I considered myself to be ordinary. I opened the door down a corridor to another door and when I opened that door, I found a lady from a show called “Fit It” (Fitting clothes) and another dark haired lady in a small indoor pool floating and swimming and talking to each other. There was a tiled wall along the right side of the pool which had several shower heads along the top. The ladies greeted me and I walked into the shallow end of the pool where they were. In the next scene of this dream, my second adult son, Peter, who was estranged from our family during this time for two or three years, walked into the “in door pool room” where I was with the other two ladies. He was naked, did not seem to notice us, and was grumpy and very serious. He walked up to the shower wall, and turned on the shower and just stood under the running water. The two women asked me who that was and I told them it was my son Peter. In the final scene of this dream, I was in a bedroom of this giant house and I was drying myself off from being in the pool and getting on some dry clothes. Brian Agnew came walking in and said ” Hey, it was so good seeing you. I hope you enjoy your gift and don’t forget to do what it said, as if there was a message inside on the cards with instructions, and then he left. I am briefly referring to different symbols in this analysis. 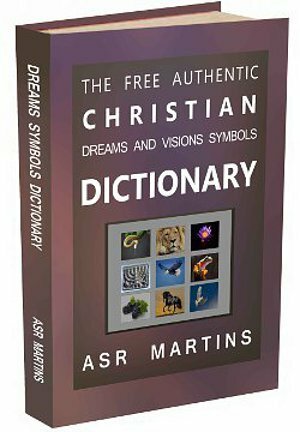 It is important for you to check them out in the Dreams Dictionary as well so that you have a better understanding of these symbols. It is also important to remember that certain circumstances leading up to a dream or certain questions asked before a dream or a person pondering on something specific before a dream really helps a lot in terms of interpreting the dream. In most cases such information ensures that the interpretation is totally accurate. This dream is all about the restoration work that God wanted and still wants to do in your life. You are an animal lover. You have a high esteem of people like Brian Agnew and Cesar Milan and you just love the restoration work that they do with animals. God used this to bring it under your attention that He wants to do the same for you. In a sense you are like those animals that they train and help. In the Cesar Milan TV series it appears that many of the problems are most of the time not caused by the animals but by the people treating those animals not like they should. The same happened with you. Most of your “issues” were caused by other people. I am referring to your life and all the emotional abuse and other problems that you suffered and endured in life. Brian Agnew is representing Jesus Christ. The box is a gift from Christ. The recycled cards symbolizes stock (goods) index cards, that is why it looked like stock index cards to you. Maintaining index cards is like “stock taking”. It tells you what is available (in stock). The words of Brian (Jesus) was that you are just something else. (“I just adore you, and I’m so fond of you, you are so talented so I want to give you this gift”). Christ loves you and He implanted a lot of wonderful things in you (DNA of God) . The index cards are empty because He wants you to discover all those wonderful things in you and He wants you to make it yours by accepting it. 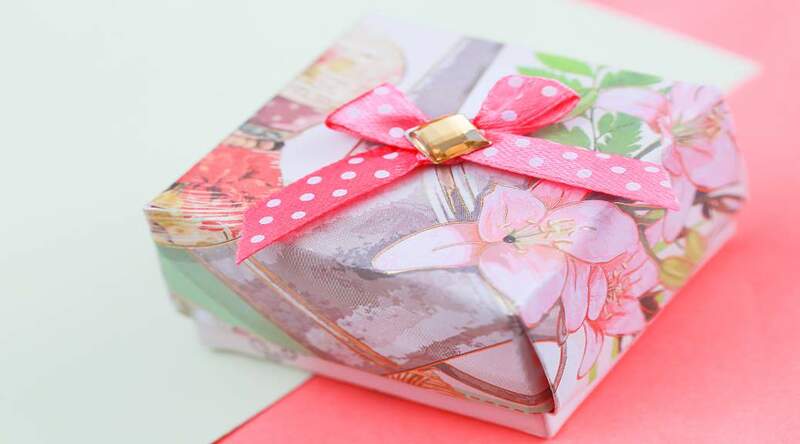 The gift is actually about discovering all those wonderful God-given characteristics and live life according to it. The reason why it needed to be opened privately is because what is in you is between you and God. You do not have to listen to other people anymore or allow other people to define you. God is the author of your faith and He will complete you in him. 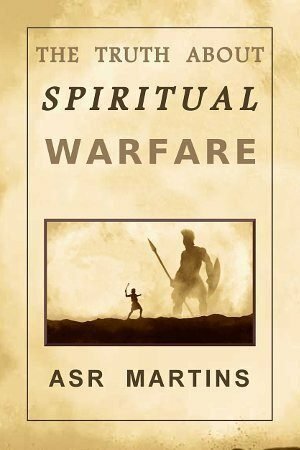 It is all between him and you and the only one that can prevent this is you. You consult God and you ask him to show you all those wonderful things in you. You ask him to make it yours and establish Him and his characteristics in you. He will raise you up and restore you (And give him no rest, till he establish, and till he make YOU a praise in the earth). All those cards were beautiful and unique. So are you and so is everything that He has put in you. The parlor symbolizes God’s plan for you to make you beautiful again. The two women represent God’s workers who are there to help him “renovate” you. Fixing houses and gardens is about fixing your soul and all sorts of emotional issues. Fitting clothes is about God repairing you for ministry. You are the dilapidated house. The utility room symbolizes all the tools and means God is going to use to restore you. The whole old beautiful Victorian house symbolizes God’s old, tried and tested and trusted methods with all it’s different aspects and tools to restore you. God put a lot of thought into what He wants to do in you and in your life. It is almost like Joyce Meyers. She was abused and look what God did in and through her. The fact that Brian (Christ) wants to take a picture and put it in the social media speaks of him wanting to brag about you. All those people that gathered to see what He is accomplishing in you represents all kinds of people. God wants to show the world what he can do in the life of one of his precious beloved vessels who got broken by the world. Some of these people gathered might not even like you but God will show you off. These people were high class so He wants to brag with you among “the best”. He will “show case” you to everyone. The gift was “sincere” speaks of God loving you very much and him wanting to do a special thing in your life. He thought about it long and hard and He wants to do it. In the dream you thought you were just ordinary but you made a big mistake. You are definitely not ordinary. You are special and God wants to do something special in and through you. I am not sure about the one card addressed to someone else. This might symbolize the fact that you might not understand that this was actually for you. It is for you and about you but you did not realize it. It might have been too good to be true. There is a hint at the end of the dream from Brian (Jesus) that the special message was actually addressed to you. You just did not accept that fact yet. This takes place in the bedroom which speaks of intimacy. It speaks of prayer and talking to God. You need to sort out this aspect of the dream with God. You need to tell him that you understand and accept that the gift is yours and the message is yours. Only then can He really start restoring you. The swimming pool symbolizes the work of the Holy Spirit in terms of the restoration process. See “Swimming pool”. The shower head speaks of repenting sins in order to be restored. Your son being naked speaks of him not being prepared for ministry or for life or both. God is including your son for some reason in terms of restoring you. Of course by restoring you it will impact the rest of your family. Although you did not understand this dream at the time God gave it to you He did proceed with his plan and I think a lot of restoration work was already done. Obviously He is still busy with it. Restoring the relationship with your son was part of it. So this dream was a wonderful message from God telling you that He is not done with you. He has a wonderful plan with you and for you and He is going to show off with you. He is going to raise you up. Read a bit more about renovating houses: In one sense a house (the inside) symbolizes the human heart or more correct, the condition of the soul of a specific person. Each room in the house symbolizes a different aspect of our being. For instance, the sitting room symbolizes the personal social situations or relationships in our lives. The bedroom symbolizes the personal and private aspects and situations in our lives. In this sense we sometimes dream of the outside areas of houses as well. The exterior condition of the house and the garden speak of the condition of the heart (soul) as well. What is in the heart of a man can be perceived by people just by observing his actions and conduct (outer or visible). In dreams the outside condition of a house tells us what is in the heart of the person it represents. It tells us what the condition of the soul is. See “Heart”. A “heart” in dreams symbolizes the soul and not the spirit of man. The spirit of man is symbolized by the “Stomach”. See “Stomach”. It is therefore all about holiness, obedience, being shaped and formed, being the clay in the hands of the Potter. It is so easy to make a mistake when we interpret dreams. We need to connect our dreams and visions to the incident that triggered it in the first place. This will ensure a correct interpretation. However, do not forget that there are times when God speaks to us directly without us asking questions or pondering on matters that is bothering us or important to us. These dreams are not connected to an incident and are almost always spiritual and actually a lot easier to interpret. I need to make it clear that all we can do is helping people understanding their dreams and visions. We can help them with the basics. We help them with most of the interpretation but even after we have done that they still need to seek God’s face about the dream or the vision. They still need to deal with issues and they need to sort out their responsibilities, actions and reactions in terms of the relevant dream or vision.